The Seahawks have traded Christine Michael to Dallas for a conditional draft pick, according to a report from ESON. The Seahawks have traded running back Christine Michael to Dallas for a conditional draft pick, the team announced Sunday. The pick is a seventh-rounder in 2016, according to several reports, with the condition being that Michael play an unspecified number of games for Dallas this season. The Seahawks found a buyer for Michael in the Cowboys, a move that also returns Michael near his home in Beaumont, Texas, and where he went to college at Texas A&M. Michael was Seattle’s second-round pick in 2013 but failed to live up to the promise indicated by that high of a selection, rushing for 254 yards on 52 carries in the 2013 and 2014 seasons. He entered the 2015 preseason regarded as having as much on the line as any player, with the Seahawks hoping he could grab the reins of the backup tailback job. Instead, he had an inconsistent preseason, rushing for 118 yards on 32 carries, an average of 3.7 per attempt, while also fumbling once and showing intermittent success blocking. Some observers also thought he proved an increasingly poor fit for the team’s zone blocking scheme, which puts a premium on reading and reacting. The dealing of Michael leaves Seattle with three tailbacks on its roster, once Jackson signs —Marshawn Lynch, Thomas Rawls and Jackson. Seattle on Saturday waived as injured Robert Turbin, who was the backup the last three seasons but suffered a high ankle sprain in the third game of the preseason at San Diego. Turbin has been placed on Injured Reserve. 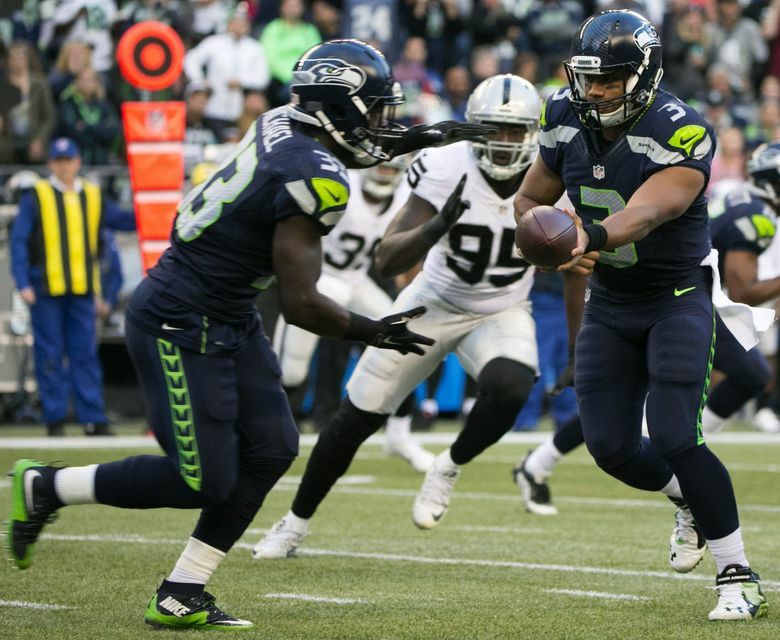 Rawls, an undrafted free agent, rushed for 158 yards on 30 carries in the preseason to lead the Seahawks and rank third among all rushers in the NFL and closed the preseason with a particularly strong game against the Oakland Raiders, rushing for 87 yards on 11 carries. Dallas has been searching to add to its tailback depth after letting DeMarco Murray go in free agency and had three tailbacks on its initial 53-man roster— Joseph Randle, Darren McFadden and Lance Dunbar. It’s expected the team will now keep all four. The trade of Michael accentuates what has so far been a disappointing return from Seattle’s 2013 draft. Of 11 players drafted, just three remain — DL Jordan Hill, CB Tharold Simon and TE Luke Willson. Seattle traded its first round pick that year to Minnesota for Percy Harvin. Michael was taken with the No. 62 overall selection as Seattle’s first pick in the draft. After Hill was taken at No. 87 the Seahawks drafted WR Chris Harper at No. 123 — he was released in the cutdown to 53 in 2013 without ever suiting up for the Seahawks. Other players in that class were DT Jesse Williams (put on the non-football illness list on Saturday), RB Spencer Ware (released last season), OG Ryan Seymour, LB Ty Powell, OG Jared Smith and OT Michael Bowie.